Whether you’re a college student, working full time, or a mom, you want a manicure that looks shiny, professional, and most importantly, is long lasting. If you’re like me, you want those high shine, professional looking nails but don’t always have the time to head to a salon. I also crave longevity in a manicure. 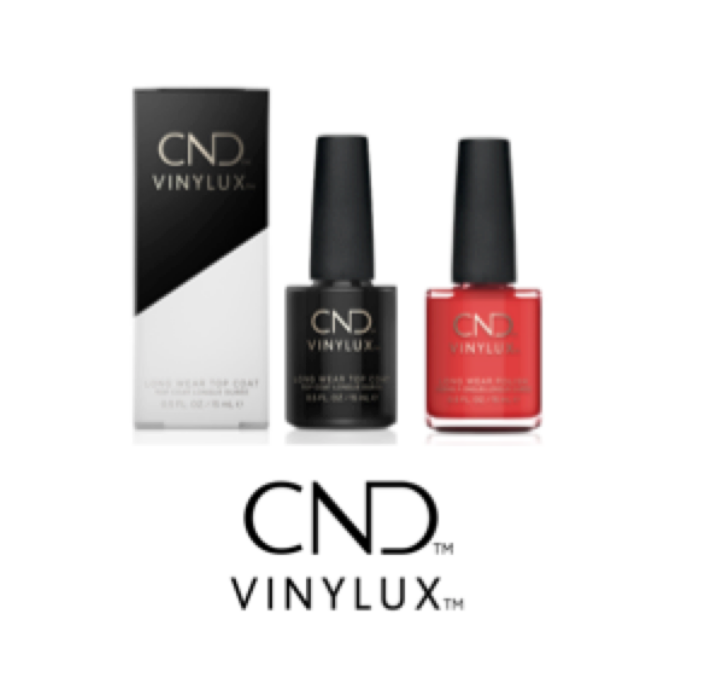 It is probably my number one requirement in a nail polish and I found my power couple: the CND™ VINYLUX™ Long Wear Polish and Weekly Top Coat. I managed to make a 300 mile out-of-state move wearing this polish and it didn’t budge. Between packing, lifting boxes, and unpacking, my nail color stayed put and stayed shiny. If you’re ready for the simplest step-by-step tutorial you’ve ever read here on Beauty Gala, buckle up. 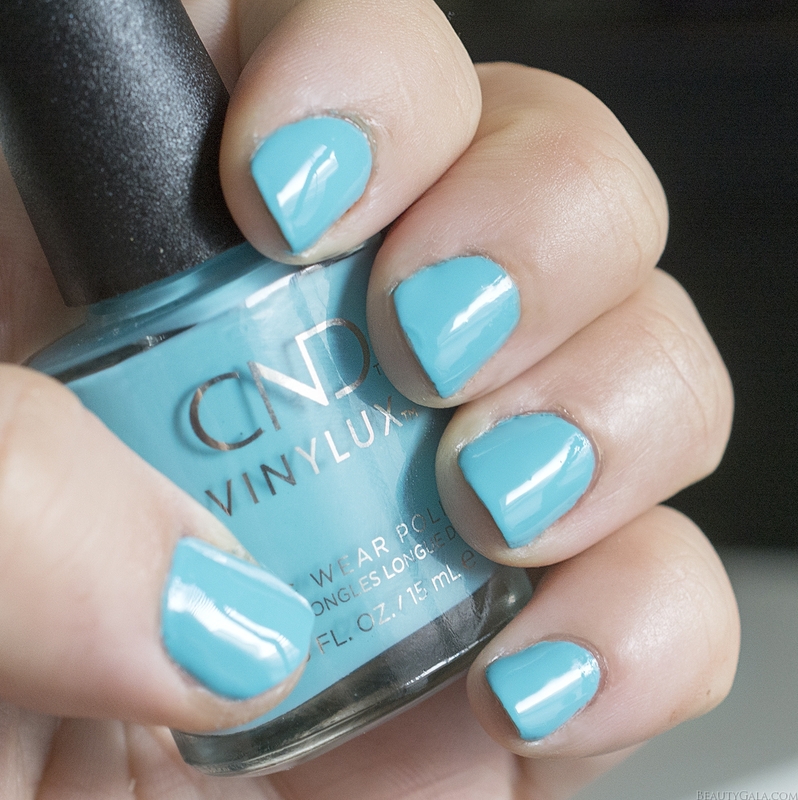 I started with the shade Aqua-intance, which is a gorgeous baby blue that reminds me of summertime. This shade conjures up images of being by the pool and seeing the water sparkle while bouncing off the sunshine. I picked out and found my beautiful shade at Rite Aid. Rite Aid stores will have either a wall-display or a nail bar where you can shop their more than 100 shades. The hardest part for me was choosing what gorgeous summer color I wanted! Check-out CND™ VINYLUX™ Long Wear Polishes NEW to Rite Aid stores in the Nail Bar or Wall Display, and find your nearest Rite Aid location here. 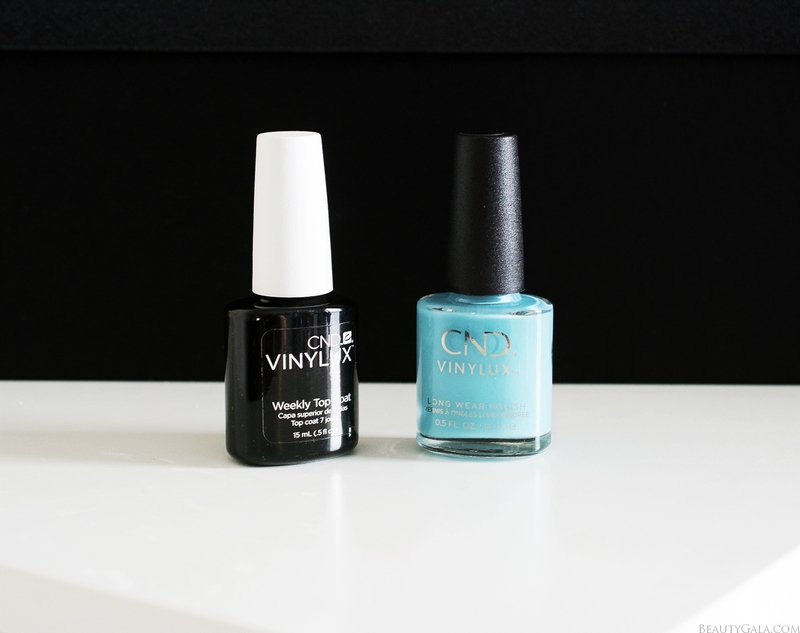 Step 1: Apply two thin coats of the all-in-one base and color CND™ VINYLUX™ Long Wear Polish. 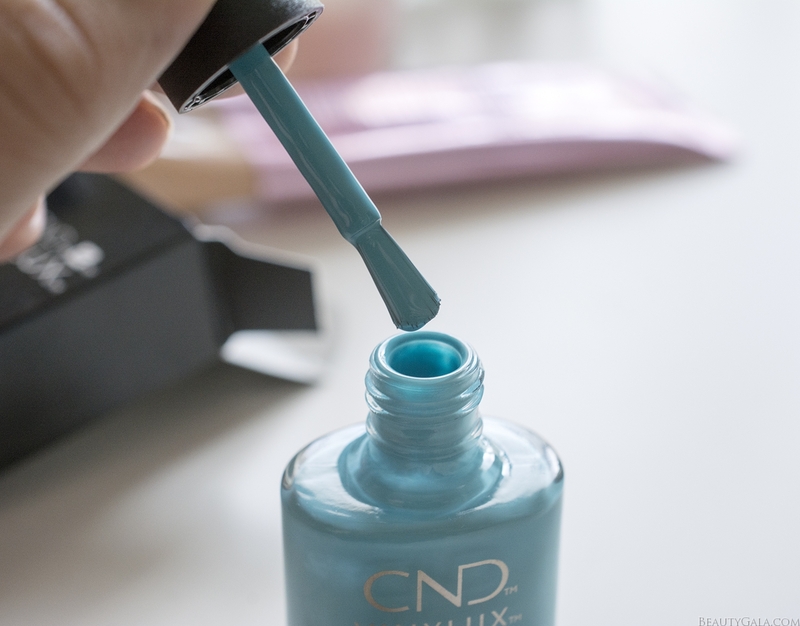 This step is so very pleasing to do if you’re a nail polish junkie. I’ve tried so many nail polish brands and formulas and this brush is the greatest of all time. It’s slightly curved so that it fits the shape of your nail and you can easily reach the entire nail without having to swipe over it many times. Two thin coats took me less than 5 minutes with this brush and I noticed that I had no brush strokes or streaks left behind. It was perfection. 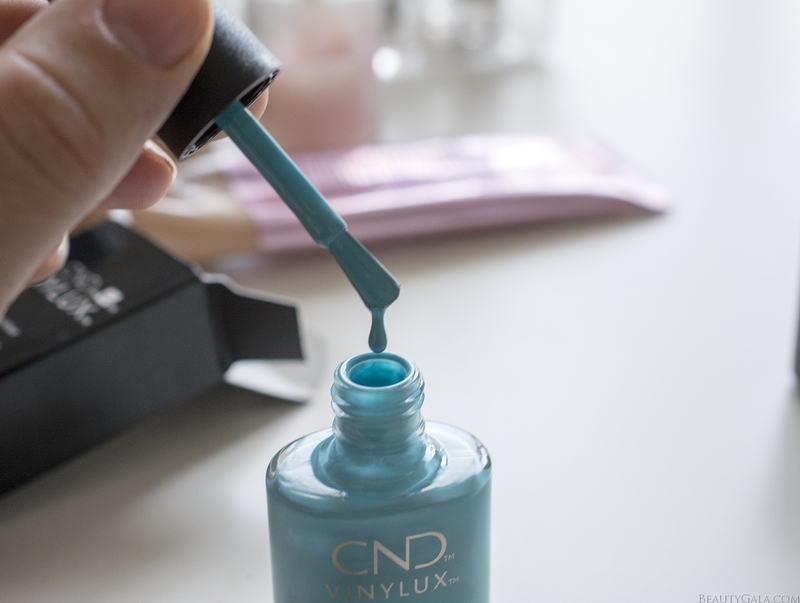 Step 2: Finish with one coat of CND™ VINYLUX™ Long Wear Top Coat for a gel-like finish. Allow 8.5 minutes for fully dry nails. This top coat blew me away because it adds a glass-like shine to the polish. I could actually see a full reflection of my window and my yard in my nails! It gives your nails the same look as a gel manicure, but without needing any UV light. The finished result is essentially my dream mani. A seamless, glass-like finish with no streaks, no chips, and minimal time spent. I can spend more time doing what I love instead of worrying about the trip to a salon or even chipped nails just a day or two later. More time being a boss babe? Yes, please, and with lovely nails to boot!